The 2015 Special Olympics World Games will be held in Los Angeles during the summer of 2015 (July 25 to August 2). 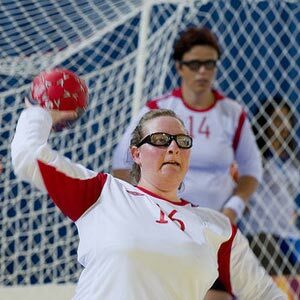 With 7,000 athletes and 3,000 coaches representing 177 countries, along with 30,000 volunteers and an anticipated 500,000 spectators, the 2015 Special Olympics World Games will be the largest sports and humanitarian event anywhere in the world in 2015. 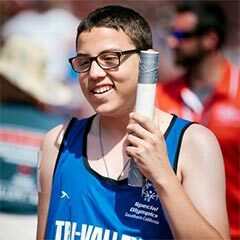 LA2015.org - The official website for the 2015 Special Olympics World Games in Los Angeles. LA2015.LAtourist.com - a digest of tourist information relevant to tourists who are coming to visit for the Special Olympics. Support.LA2015.org/LAtourist - help us sponsor an athlete at the Special Olympics World Games. Downtown L.A. - Los Angeles Convention Center and Lucky Strike Lanes at L.A. Live. Encino (San Fernando Valley) - Balboa Sports Center. Griffith Park - L.A. Equestrian Center and Wilson Harding Golf Courses. Long Beach - Belmont Pier, Alamitos Beach and Marine Stadium. UCLA - Pauley Pavilion, John Wooden Center, the Los Angeles Tennis Center and more stadiums, fields and venues. USC - Galen Center, Loker Stadium and Uytengsu Aquatics Center.